Celebration, Florida is the adorable planned Disney community located just outside the Walt Disney World Resort. The community is sectioned off into villages with varying architecture styles and includes common areas and park space. The downtown area of Celebration is frequented by both locals and tourists and offers shopping, dining and special events like fireworks, festivals and street markets. The charm of Celebration is the small town feel and it is common to see families riding bikes and locals chatting with neighbors in the town square. During our last visit to the Walt Disney World Resort, we decided to dine in Celebration and spend the evening walking around and taking in the sights. We went on a busy Sunday night and were pleasantly surprised to see a bustling downtown location. 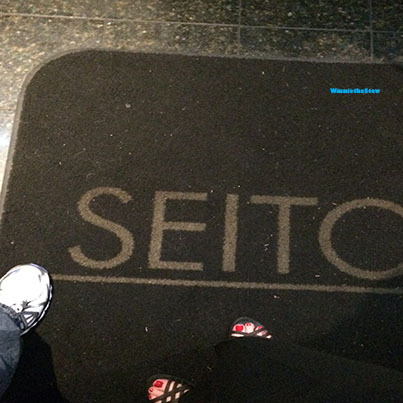 We walked around for a while and checked out the wait times at the various restaurants, and decided to enjoy some Japanese fare at Seito. The restaurant itself has a pleasant ambiance and the servers are kind and attentive. Although the place was incredibly busy, we felt like the scene was laid back and relaxing. The food was decent and the wine and sake menus were impressive for a touristy locale. 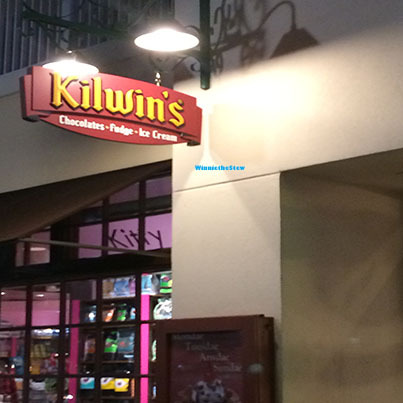 After dinner we looked around the shops and happened upon Kilwin’s, a gem of a sweet shop. The store offers chocolates, fudge and ice cream with the option of freshly made waffle cones….the aroma of which you could smell down the street. We grabbed some bowls of Kilwin’s special recipe ice cream and walked across the street to a little park with a view of the downtown Celebration lake. The town pumps in ambient music to some of the common areas….so we sat there and completely relaxed and enjoyed the entire scene. 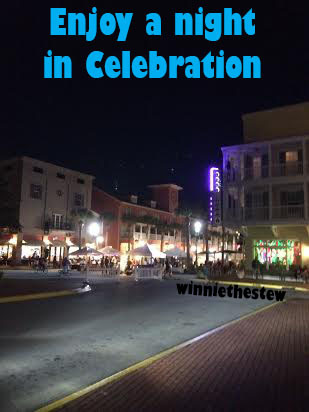 Celebration is a fantastic option for guests who want to enjoy a night out away from the hustle of the parks. It is the perfect date night location due to the variety of restaurants, bar scenes and the walkability of the town center. If you opt to spend an evening dining in Celebration, reservations are recommended since the wait times for the restaurants can exceed several hours for the more popular locations. The Celebration Towne Center website gives more detailed information about the restaurants and stores within the community and can be found here.